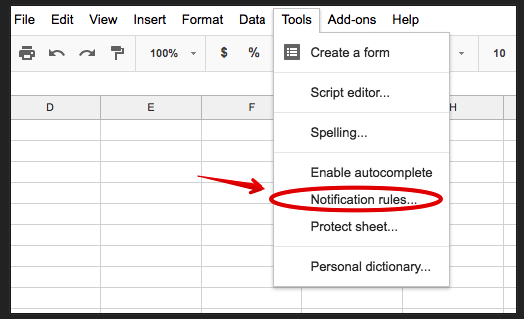 Earlier last week one of our readers emailed us inquiring about how to set notifications for shared spreadsheets. 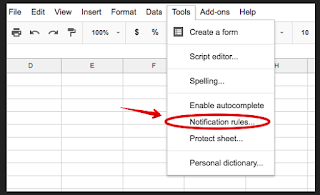 Here is a step by step guide to show you how you can customize the settings of your Sheets so you can receive notifications when collaborators make changes to your spreadsheet. You can specify how often you want to get notifications. 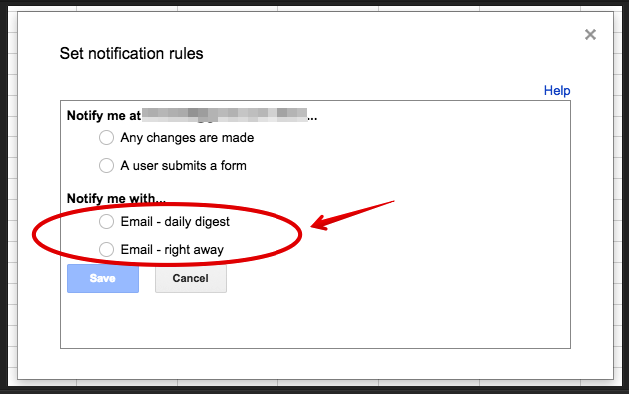 You can choose between a daily summary of all changes or an email each time a change takes place. And in case your are the owner and editor of a spreadsheet you can will be able to see the usernames of people who make changes. 3- From the displayed window select when you want to get notified of changes. 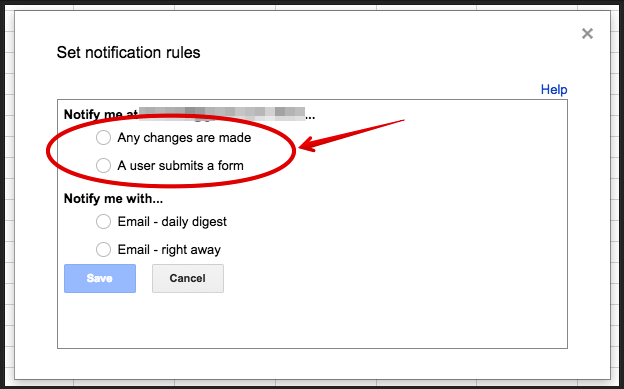 You have two options to choose from: ‘Any changes are made’ or when ’a user submit a form’. 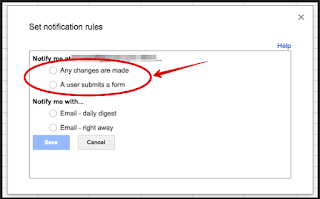 4- Specify how often you want to receive notifications. 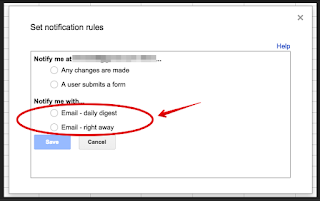 Choose between : ‘Email- daily digest’ or ‘Email-right away’. Check out Docs Editor's Help for more tips.